For a holiday that is entirely centered around candy, you might be wondering how to escape Halloween without doing some damage to your health. Why should you have to sit at home hanging around the front door to hand out candy? There’s plenty of time to do that once you don’t have little ones to take out. Rather than splitting up the duties of taking the kids out for trick-or-treating or being on candy duty at home, just leave a basket with candy out on your front porch so you can go out and get walking. Sure, people are going to take advantage and take more than one piece from your basket, but you’ll get the chance to fit in more steps in to your day (aka you’ll have earned that fun-sized Snickers bar when you get home) and the fresh air and family time will be good for your soul. Halloween traditions don’t just have to center around trick-or-treating. 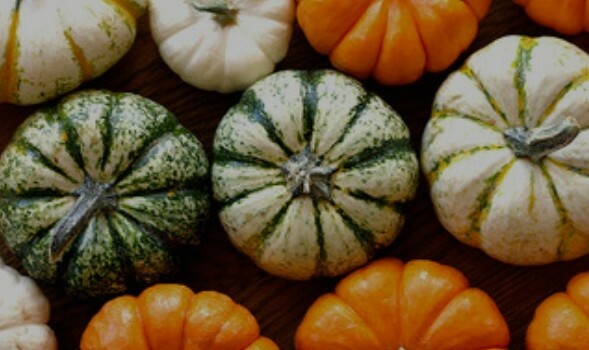 Incorporate pumpkin in to your dinner dish for an additional seasonal tradition with your family. One of our favorite ways to have pumpkin with dinner is grilling it, which is just one of the ideas in our “5 Things to Do With Your pumpkins Before you Toss Them” post. This was always one of my favorite things to do on Halloween. There’s just something about getting to dunk your head in water and make a mess without getting scolded at that’s kind of fun for a kid. This activity also ensures a healthy treat after the game is over (and we need to mix in as many healthy snacks as possible before all the kids beg for is candy). Another fun game is “Mummy Wrap.” Although there’s not a healthy reward at the end like bobbing for apples, you’ll burn some calories between laughing and racing to win mummy wrapping your partner. To play the game, divide in to teams of two, and give each a roll of toilet paper or white crepe paper. At the sound of the music, one team member must wrap the other from head to toe (leaving the head free and not binding the arms to the body.) Once completely wrapped, the “mummy” must run to cross the finish line before the others. Turns out getting a scare isn’t actually scary for your health. Watching scary movies or going to a haunted house also release hormones that produce excitement, for example oxytocin. This feel-good chemical is why you see people laughing, smiling and clutching each other when they walk out of a haunted house. You’ve probably already done something like this, but just in case things got out of hand last year, it’s time to re-establish the rules. 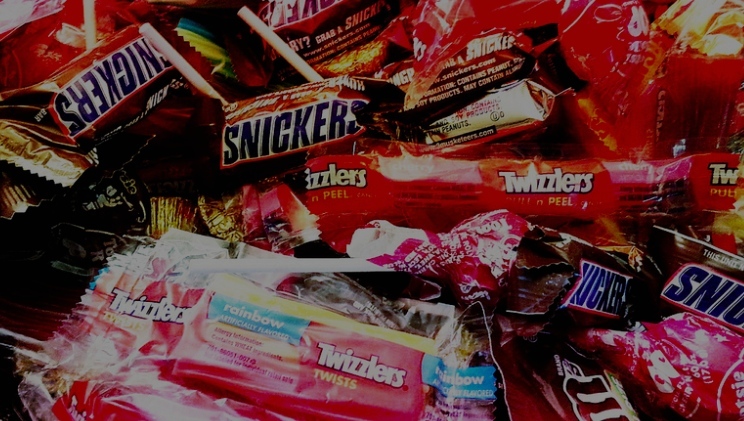 The main rule being, Halloween candy is not a free-for-all. When the kids get home from trick-or-treating, it’s time to let them have a couple treats and the rest gets put away to be handed out for a little dessert in the lunchbox, an after-dinner dessert or something that is given for a job well done. The most crucial part of making sure the kids don’t consume a pound of candy a day is making it clear that getting a piece of your Halloween candy is not guaranteed. For example, my mom would only give me pieces when I did something good in school, it was a weekend treat or I had spent most of the day playing around and burning off plenty of energy. 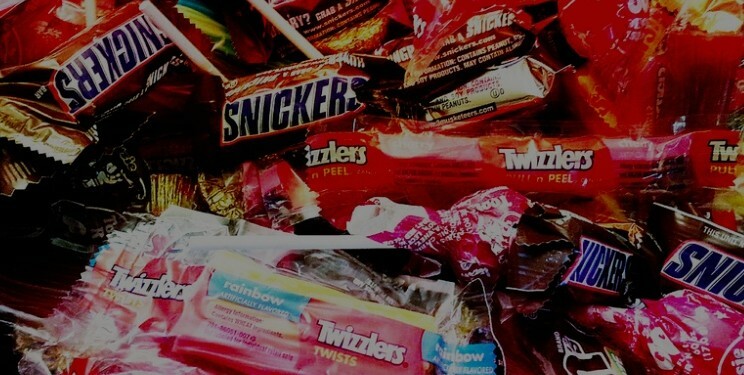 A little piece of candy isn’t going to hurt, but as Michael Pollan states in his book, Food Rules, we have to “treat treats as treats.” It’s very easy to lose sight of that rule when you’ve got a bag of candy lurking at you. One of the simplest ways to not overindulge on the candy, for not just your kids, but you too, is to hide it away. Out of sight and out of mind. After awhile as you start to see the candy dwindling down to all the teeth-destroying pieces, don’t be afraid to just throw the rest out. Your kids will be non-the-wiser as they haven’t had any access to their candy anyways, and there needs to be a point where we just run out and have to wait ’til next year. What are some of your family Halloween tradition or tricks for keeping the sugar at a minimum after the treats have been gathered? Do Women Really Need to Cut Back on Sugar?